Culligan of Crete provides service for residential, farm, commercial, industrial and business water systems. We back everything we sell with expert service. If anything should ever go wrong with your Culligan water system, we’ll be there to fix it. We have a highly skilled team of installers and service technicians who deliver the high-quality personal service that you deserve. At Culligan, we still believe in good old-fashioned customer service and our customers are our number one priority. After installation, technicians regularly monitor your water and perform maintenance to make sure that your Culligan systems continue to do the job. Technical advice and professional service are always close at hand. We will continue to show you our gratitude to you by holding firm in our strong commitment—by always providing you with the best value, exceptional quality and unparalleled customer service that you expect from us. Various rental & financing options available to meet every budget! Industry leader in product warranty and development. 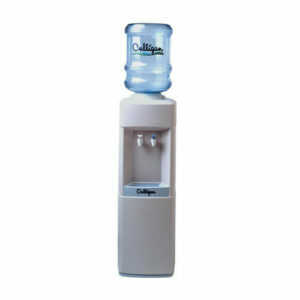 Culligan is a worldwide company with over 800 dealers across more than 90 countries. At Culligan water treatment is our ONLY business and we’re committed to customer service. 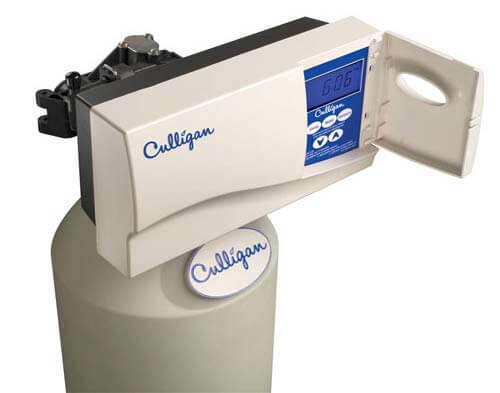 Founded in 1936 Culligan continues to be a leader in the industry. We have combined over 100 years of experience and locally certified, licensed and bonded. We provides service for residential, farm, commercial, industrial and business water systems. Our water filters remove solids from water and reduce scale build-up. We also have a range of specialized water filter systems that fight stains and improve the quality of your drinking water. At the heart of your Culligan filtration system is the filter cartridge. The cartridge is the barrier between you and the contaminants that make your water smell or taste funny. Culligan cartridges capture the tiny, unseen particles floating in your water (some as small as an atom) so what comes out is refreshing, clean, and purified Culligan drinking water. A water filter means better water in you house or business. Good clean drinking water is essential to everyone’s health. Nutritionists recommend you drink at least eight glasses of water a day. A Culligan reverse osmosis system (RO) provides a smart, convenient way to make sure your family is getting the clear, fresh water they need. In fact, many families find that with delicious Culligan water at home, their kids drink fewer sugary soft drinks. From spending too much money on laundry detergents and softening agents to constantly battling dry skin and dull, lifeless hair, you need the ultimate solution to your hard water problems: The Culligan Water Softener. 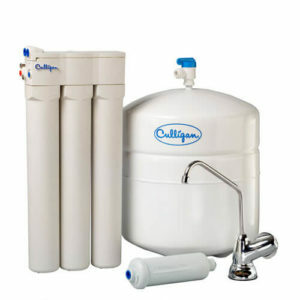 Our Culligan water softeners reduce scale build-up. Most importantly, a Culligan water softener means better water throughout your entire house. Culligan water softeners provide top of the line protection against the numerous problems that hard water can pose to a household. Our durable and efficient softeners are the best solution to the poor water quality that effect so many of us. When you sign up for service with Culligan of Crete, we will work out a schedule with you that meets your needs. Our office will provide you with technicians who know how to make your water more efficient and your equipment last longer. We also offer professional in-house and laboratory water testing to ensure we understand exactly what is in your water. With each service call, we also test your water to provide you with the peace of mind you need about the continuing quality of your water. Please remember that we also service systems by other manufacturers. You do not have to have a Culligan system to take advantage of our services.